Land of the free? 5 myths about the American music market. Take in an overview of recent recorded music sales figures out of the US, and you’ll struggle to find too much reason to smile. One recent headline revelation (literally, in MBW’s case) was that the retail value of music fell 0.5% year-on-year in the first six months of 2015. There was worse news when it came to streaming subscriber numbers, which grew by just 200,000 people in the same period, hitting a worrying plateau. The most widely reported angle of the RIAA’s latest numbers in the mainstream press, though, was that total vinyl sales had brought in more revenue than ad-supported, on-demand music services. In an online sharing age, where trivia and curio usually have higher enticement value than fact and reason, this became warped into an inevitable headline: ‘Vinyl is outselling streaming in America’. Myth 1: THE CD IS A FORGOTTEN FORMAT ON THE VERGE OF DEATH. On the face of it, the prognosis does not look good for the CD album. The RIAA’s figures showed that revenue generated by CD sales in the first six months of 2015 was $494.8m – 31.4% down on the same period in 2014. That figure was outstripped by both digital albums ($572m) and digital track downloads ($688m). However, CD sales were still bigger than ad-funded streaming ($163m) and streaming subscription income ($478m) in the six month period, as well as revenue from SoundExchange ($387m) – ie. online ‘radio’ services such as Pandora, iHeartRadio and Slacker. So the CD is wounded, but not yet mortally so – proving its strength ahead of much more talked-about modern formats. In addition, it’s important to remember where the shrinkage is coming in the CD’s performance. 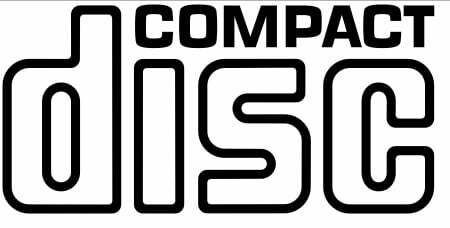 According to unit sales stats from Nielsen earlier this year, physical album sales across CD, vinyl and cassette actually went up in the first half of 2015 at US independent retailers, albeit by 0.6%. ‘Non-traditional’ retail – covering Amazon, plus other online stores and D2C activity – saw the number of album units sold move up 8%. So how come the money coming in from CD sales is down by almost a third in the first six months of 2015? Mass-market retailers, according to Nielsen, sold 5.1m fewer physical albums in the period than they did in 2014 – an 18.2% drop. And US-wide chain stores also suffered, with physical album sales falling by a million compared to H1 2014. Myth 2: free music isn’t paying anything significant to labels. Platforms like YouTube and SoundCloud are attracting heavy criticism from record companies right now, and you can see why. According to RIAA stats for the first half of the year, ‘ad-funded’ streaming services – including YouTube, SoundCloud and Spotify’s free tier – generated just $163m. That weighs in at around 1/3rd of the cash brought in by subscription streaming services. And it’s equivalent to just 13% of the total cash paid for digital downloads in the period. However, what the RIAA calls ‘ad-funded’ and what’s actually ad-funded are two different things. The majority of SoundExchange’s $387m H1 income appears to come from Pandora, which paid out $256.2m to music rightsholders in the first half of 2015. Of this cash, around 80% – or $205m – would have come from users of Pandora’s free tier. If free Pandora users generated $205m, and we add that to the $163m from the RIAA’s ‘ad-supported’ services, the ‘free’ figure already gets to a much-healthier-looking $368m. To get a true picture of the value of ‘ad-supported’ platforms, you then have to add in other SoundExchange income from the likes of Sirius XM, iHeartRadio and Slacker – and work out how much of this cash actually came from ‘free’ users. Analyst Mark Mulligan has done so, and the results are a surprise. Mulligan estimates that 56% of total streaming income in the first half of 2015 was actually generated by ‘free’ users. This is the one that got heavily reported around the web in the wake of the RIAA’s results. It is true that, if we revert to the RIAA’s limited categorisation of ‘ad-supported’ services – ie. not including Pandora – then vinyl outstripped this category in H1 2015. 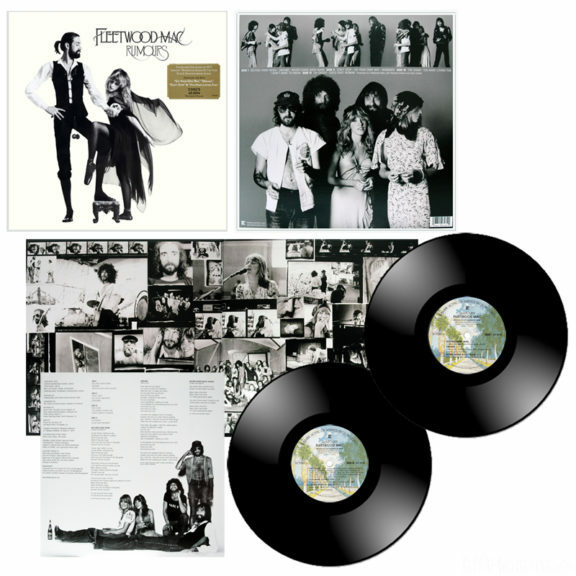 Income from vinyl albums reached $221.8m in the US from Jan-June; 36.1% ahead of the $163m from ‘ad-supported’ services. However, if we factor in our estimated pot of ‘free user’ Pandora cash ($205m), it takes ad-supported streaming comfortably back ahead of vinyl. 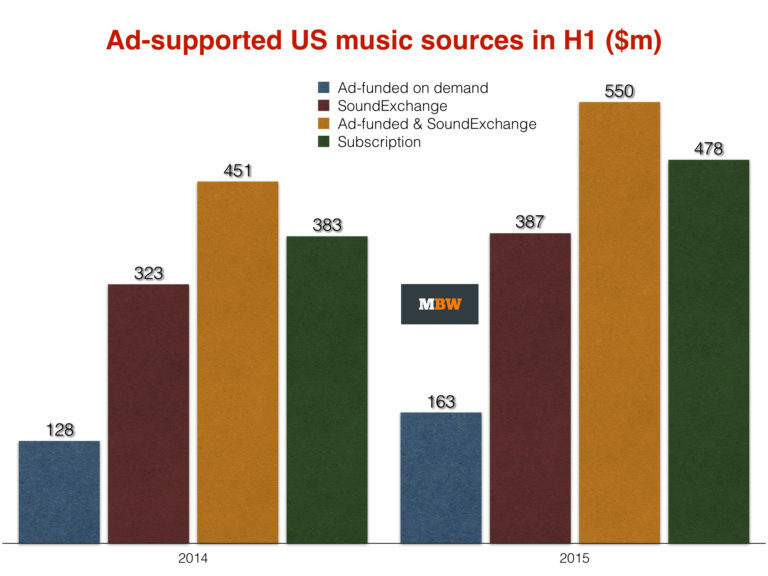 Total streaming revenues in H1 2015, across SoundExchange, ad-supported and subscriptions, totalled $1.028bn. 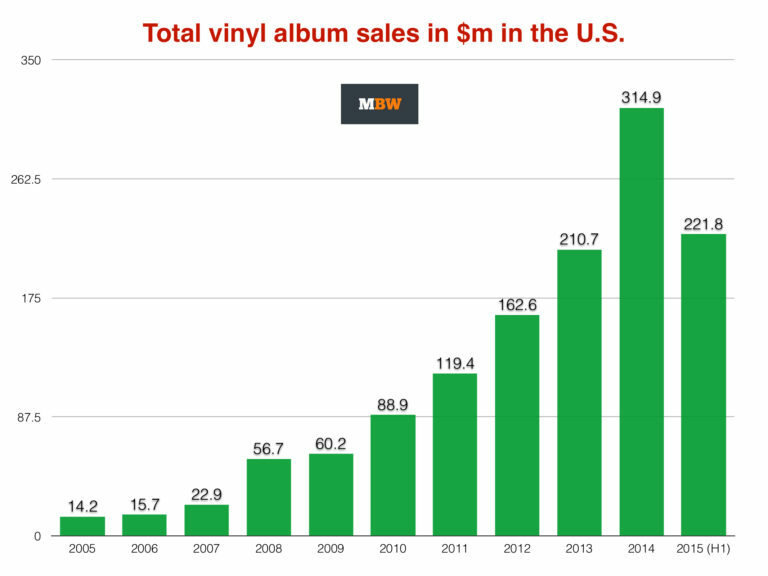 That’s almost five times the money created by vinyl sales. Not that vinyl’s extraordinary revival should be done down: the $221.8m it generated in H1 was more than vinyl accrued in the whole of 2013. It was also more than the format generated in 2005, 2006, 2007, 2008 and 2009 combined – by more than $50m. There’s no getting away from the fact that the download is being particularly punished by the rise and rise of streaming. The latest Nielsen stats out of the US this week show that the number of digital track downloads in the first three quarters of 2015 (756.3m) are almost 100m behind the tally in the same period of 2014 (848.5m) – a 10.9% fall year-on-year. But, as ever, income rather than unit sales are a much better indication of the market’s real health. First, the bad news: the value of the single-track download market fell 9.4% in the first half of 2015 to $687.6m (down from $759.3 in H1 2014). But get this: digital album sales actually grew in value by 4% during the period, up to $571.5m (from $548.3m in H1 2014). Streaming might be hurting the single-track download market’s power – but the digital albums sales market looks surprisingly robust. 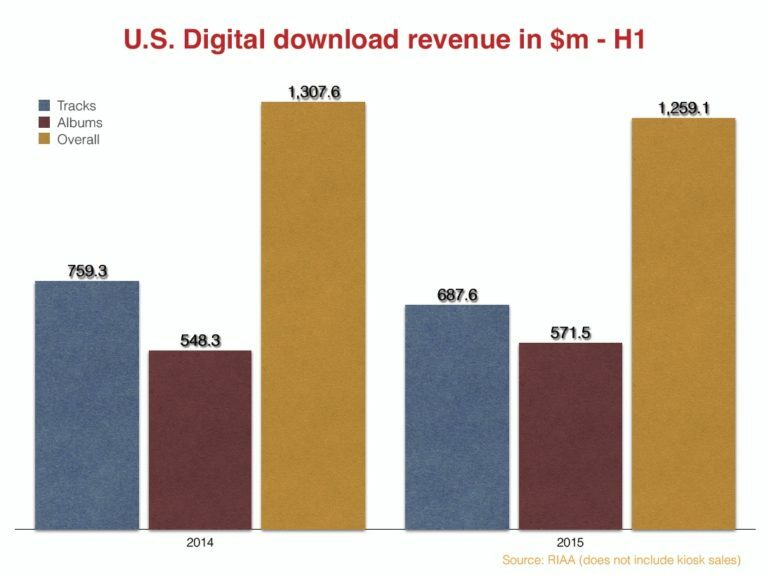 Because of this digital albums boost, total income from downloads actually only fell 3.7% in the first half of 2015. The category’s total income tally? 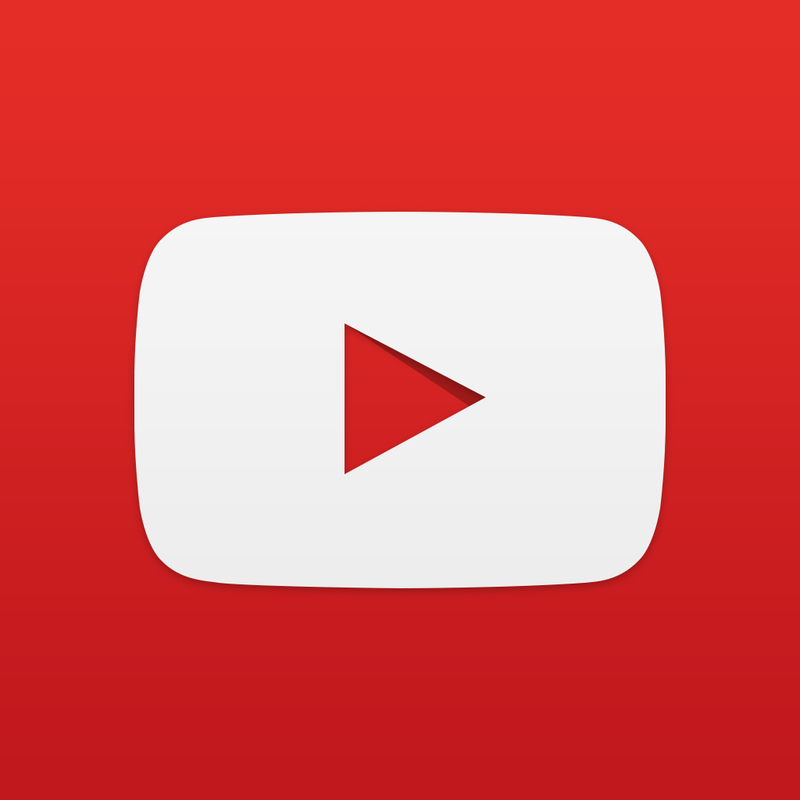 $1.259bn – bigger than streaming, bigger than physical. 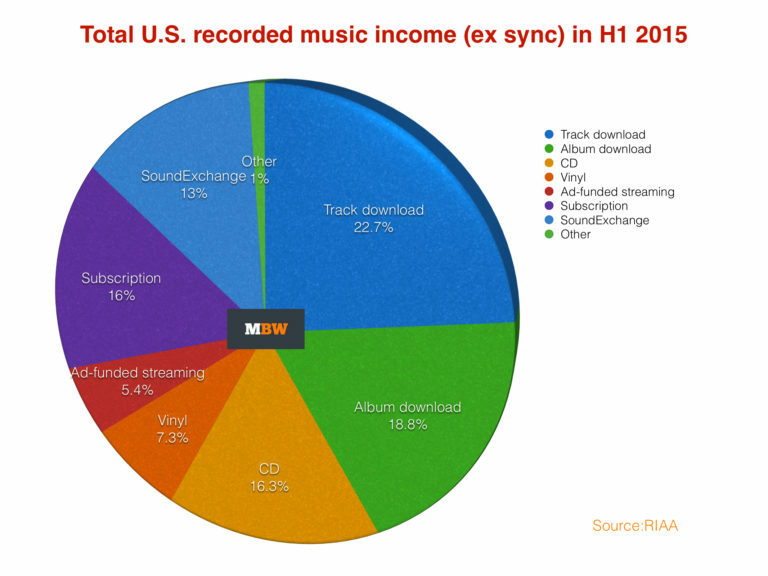 In fact, remove SoundExchange from the equation, and downloads claimed 47.6% of the overall US market in H1 2015. The US is the world’s biggest and most important recorded music market, generating almost $5bn last year – around a third of the world’s total spend on recorded music. Seeing it reduce by another 0.5% in the RIAA half-year stats to $3.166bn is, therefore, slightly scary. When is the supposed streaming revolution, you might ask, going to kick in and start saving the business? Then again, you could argue that, behind the scenes, this is already happening. 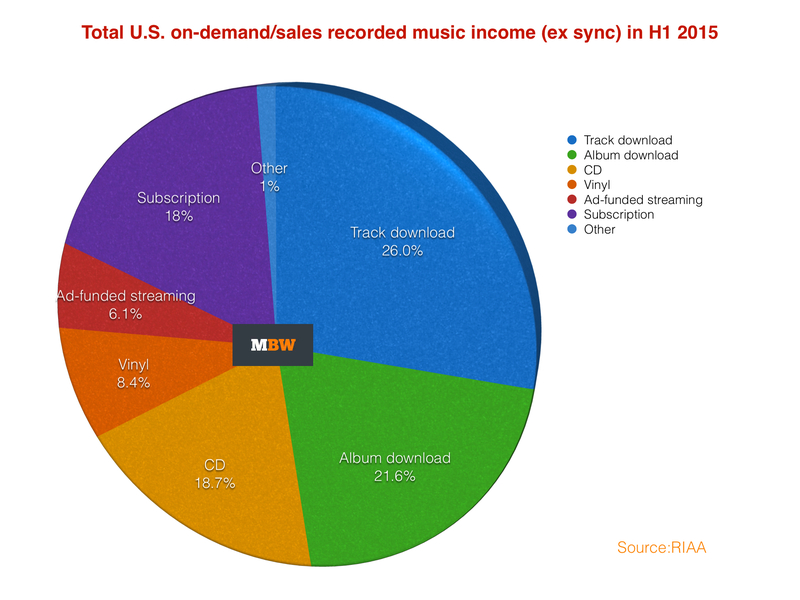 The 0.5% downward trend refers to retail value of music; ie. 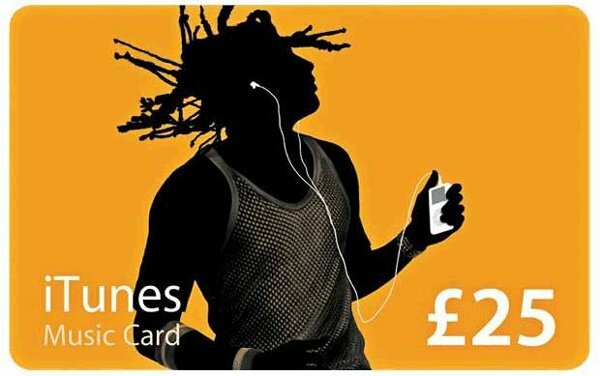 the cash being paid for the privilege of listening by the consumer. This is the typical metric by which the strength of the market in territories around the world is traditionally judged. Yet it’s important to note that the wholesale value of the US recorded music market – that’s the amount which actually makes its way back to labels – was up 0.8% year-on-year in H1 2015 to $2.3bn. This trend is clearly being made possible by the reduced overhead of the streaming services compared to traditional retail (physical distribution, for example). 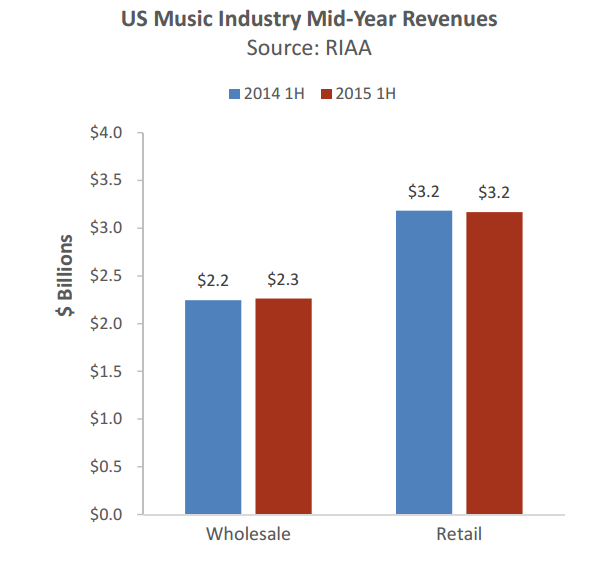 “The problem with all RIAA reports on revenue is they mix apples and oranges. Retail streaming sales and downloads that include retail mark-up mechanicals, manufacturing, shipping, warehousing and return costs are combined with net revenue like ad-supported streaming, Sound Exchange and synch which have none of those costs associated with them. “When you back out the costs associated with these marked-up revenues, you get an entirely different picture. He adds: “US net revenue will increase between 5% and 10% this year. It will be the biggest growth since 1998 in the US music business.